If you are looking for great representation in Orange County, California feel free to reach out to Kim Le, Realtor, from EXIT Prestige Realty located in Anaheim Hills, CA. 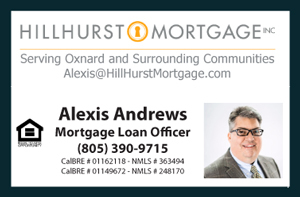 She is part of the group that is currently helping families with their Real Estate needs throughout Orange County focusing on the following communities: Fountain Valle, Huntington Beach, Seal Beach, and Costa Mesa. I had a great power talk with her recently about Real Estate Marketing Strategy and the various training programs we participate for the sake of improving the service we provide to our local families. You can learn more about Kim Le, Realtor, by visiting her page www.myocagent.com and follow her Real Estate Blog. "I was born and raised in Orange County, California and completed my undergraduate degree at the University of Nevada, Las Vegas. Upon graduating, I moved back to Orange County for a career in marketing and advertising. After a few years of working, I decided to pursue my MBA and become a licensed Realtor. I graduated from UC Irvine in 2010 with a focus in real estate. I couldn't be happier...."